Customer's dog on a Molly Mutt Dog Bed: mage by Michelle Ball via amazon.comMost dog beds come complete with stuffing and cover. Sometimes we like the bedding materials inside the cover, other times we like the cover but don't care for the materials inside. One always wears out before the other, but we end up throwing out the cover and the stuffing and buying a whole new dog bed. Molly Mutt has come up with a great idea, a do-it-yourself dog bed. What DIY means in this case is that Molly Mutt makes the shell, or the Dog Bed Duvet, as Molly Mutt calls it, and you stuff it. Molly Mutt makes some stunning Dog Bed Duvets - in four sizes from small to huge, in great solids and prints, made of sturdy cotton, that's been washed and pre-shrunk. You get to choose the material you want for the inside of the duvet. 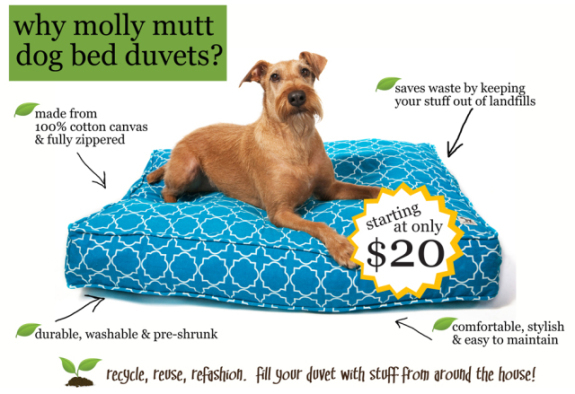 Whether it's foam, feathers, or as Molly Mutt suggests, your recycled sheets, blankets, pillows, or even clothes. Here, Ms. Molly herself shows you how it's done! 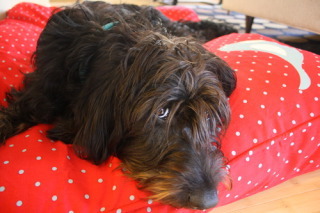 Molly Mutt has a slew of colors, patterns and sizes of Dog Bed Duvets for sale at Amazon.com. 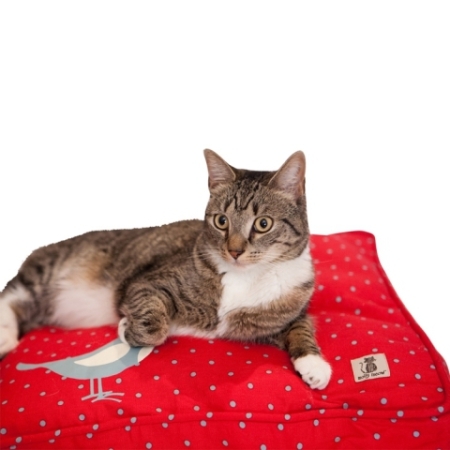 And don't forget to check out the Cat Bed Duvets, also at Amazon.